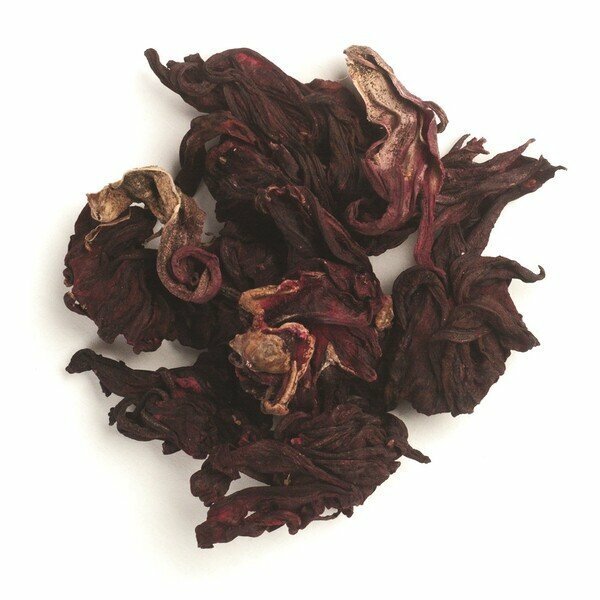 Frontier Organic Hibiscus Flowers are sourced in Burkina Faso in West Africa. These dried flowers have a deep red, magenta color and appear coarse and broken. Hibiscus flowers are commonly used an herbal tea, especially in Caribbean and Latin American countries. They are often combined with other herbs or fruit juices and they impart a fruity, flowery and tart flavor. 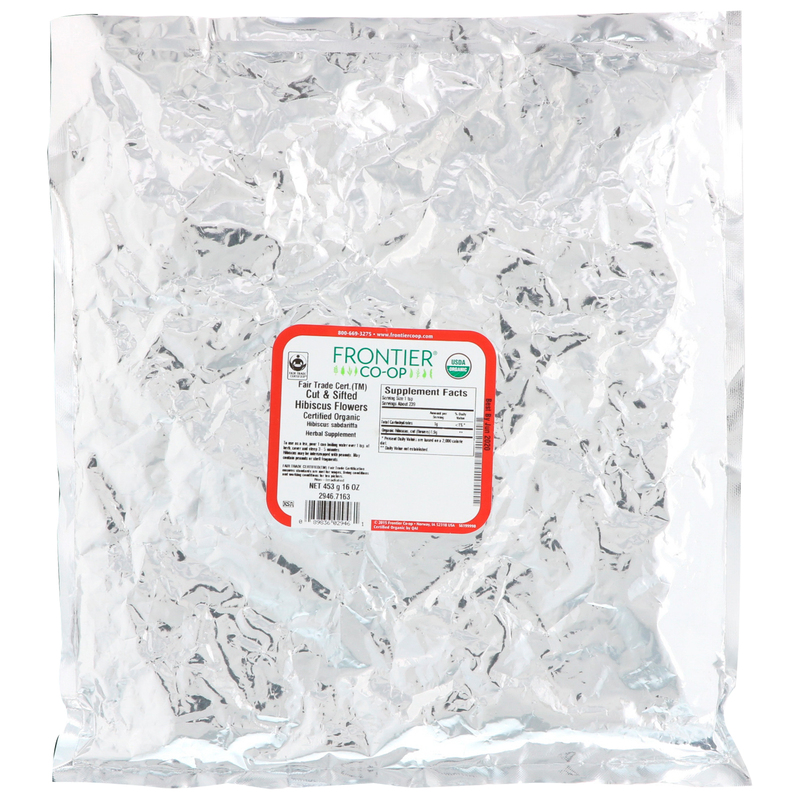 Our bulk hibiscus flowers are kosher certified and non-irradiated. Hibiscus may be inter cropped with peanuts. May contain peanuts or shell fragments. Fair trade certified (TM): Fair trade certification ensures standards are met for wages, living conditions and working conditions for tea pickers.